How much better does it get? Nearly 60 degrees on November 19th! The fall hunt season is drawing to a close but you would never have known it was November 19th today. It was nearly 60 degrees with bright, clear skies. What a treat! 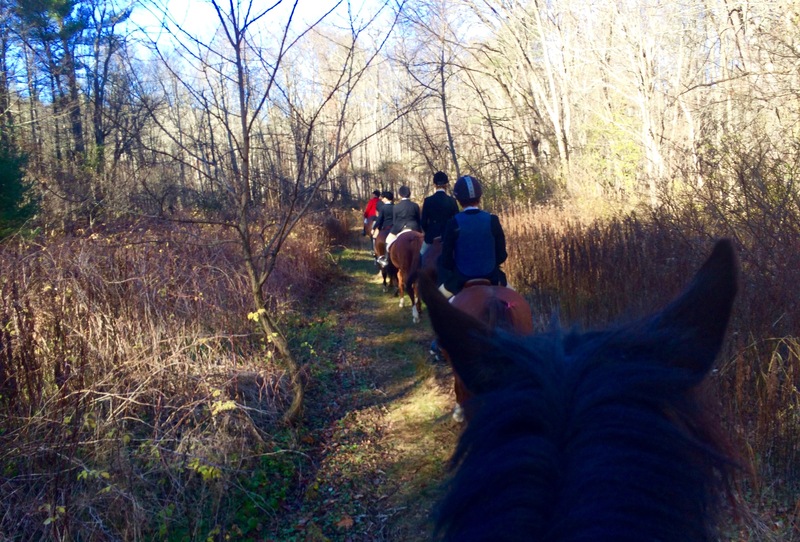 It was one of those hunts where you ride back to the trailer after two hours and wish you could go a bit further. Zelda, surveying the hilltoppers. She was in fine form today. Excited, happy and not at all naughty. Zelda had a really good time today. 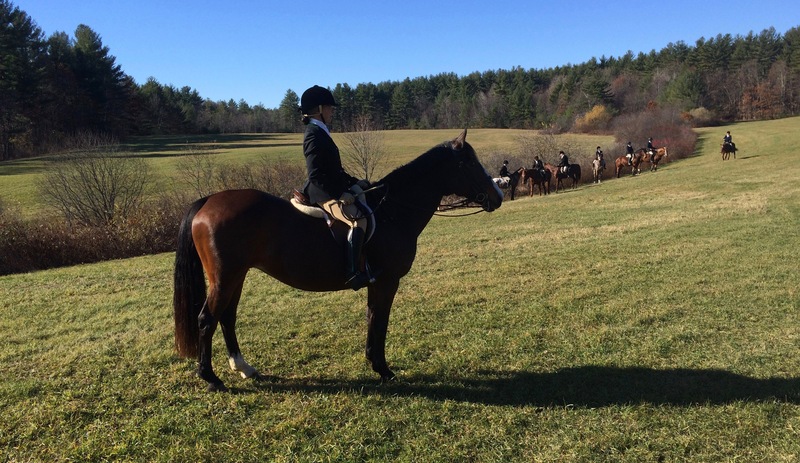 She’s gotten much smarter about hunting — she is staying more balanced and is easier to rate — but she was so excited to be out that she was literally bouncing. It’s amazing to me that the same horse that swears it’s impossible collect at a canter when schooling dressage, can practically canter in place when she’s in the hunt field. 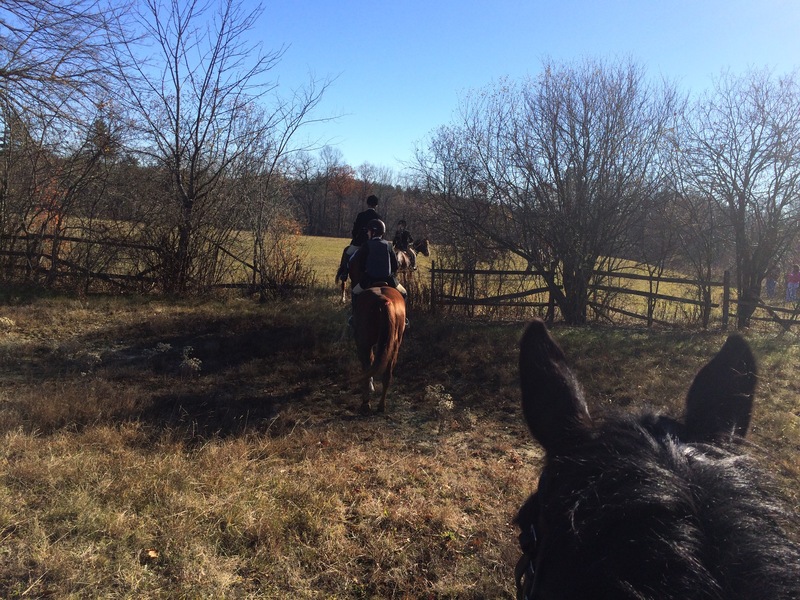 The best thing about having a horse that can canter that slowly? I almost never need to post. And her canter is very comfortable. 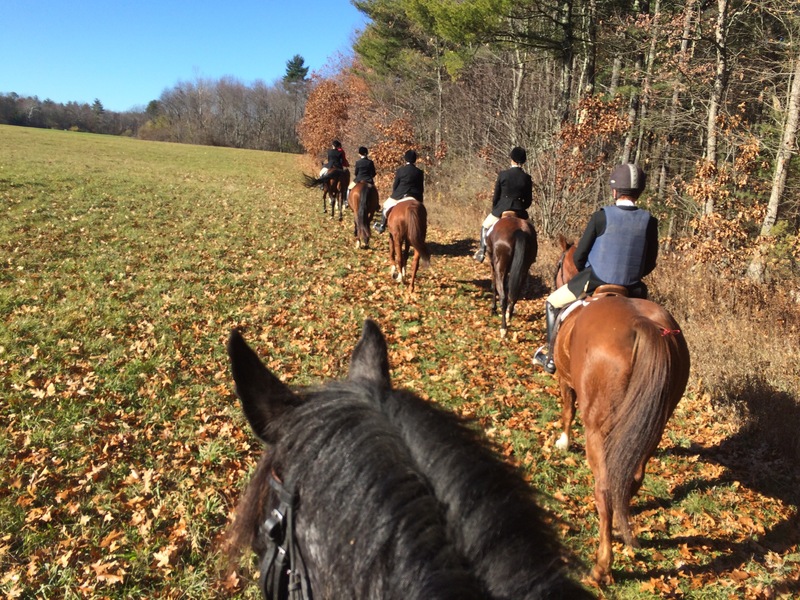 Today we hunted in Pepperell, which is just shy of the New Hampshire border. Lots of big open fields. 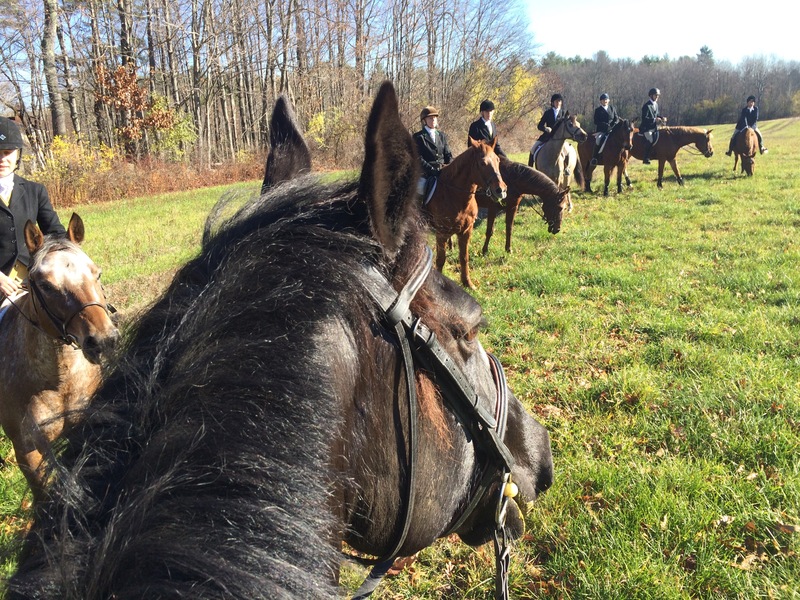 The hounds were spot on the scent today — and the fields gave the opportunity for great viewing. 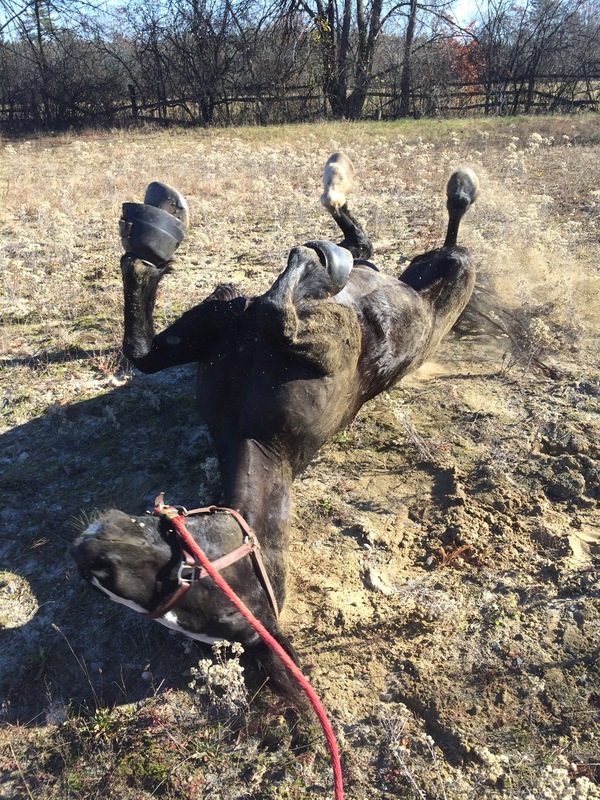 After the hunt Zelda could barely wait for me to get her tack off before enjoying a roll in the sand.